I had some requests for a more detailed explanation for the shirred scarf, so hopefully this will help. serger, or rolled hem presser foot. First off you will want to find a lightweight material. 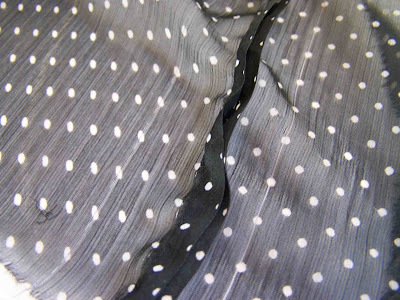 Mine is a sheer polyester. You will need around a half of a yard for one scarf. My scarf is 7" wide. You will take your cut of material, and clip through the selvage edge at seven inches, and then again at 14 inches. 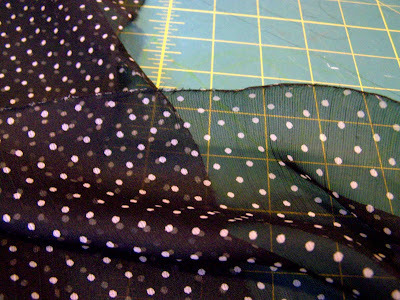 I used the snip and rip method of cutting my strips of fabric. This lightweight material can be rather shifty to work with. Ripping it results in a much straighter cut than with the rotary cutter. Once your have clipped the material, simply rip it. Rip from one end, and continue ripping until you've made it across the width of the material. 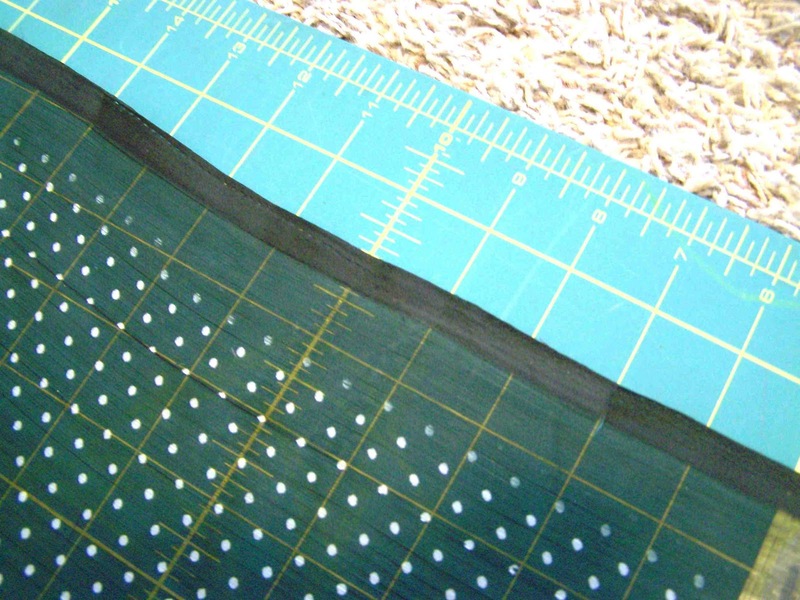 You should end up with two seven inch wide strips of material. A close up of the ripped edge. 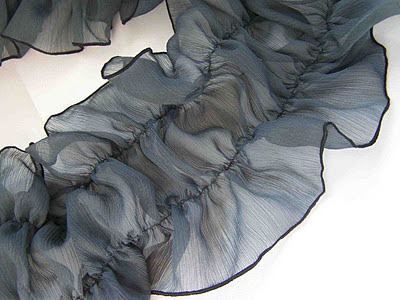 Leave the selvage edge in place, do not remove. 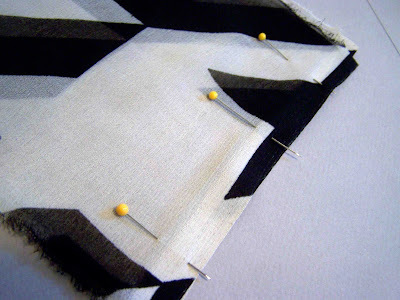 Pin your strips of material together at one end (right sides together if applicable). Stitch your strips together. I stitched just outside the selvage edge. 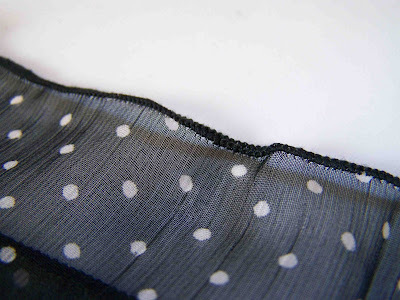 Next you will want to stitch your seam down, by stitching about 1/8" away from the open edge of the seam. This will make your seam lie flat. Next you will want to sew a narrow rolled hem on your serger. Serge along both sides of the length of the scarf. 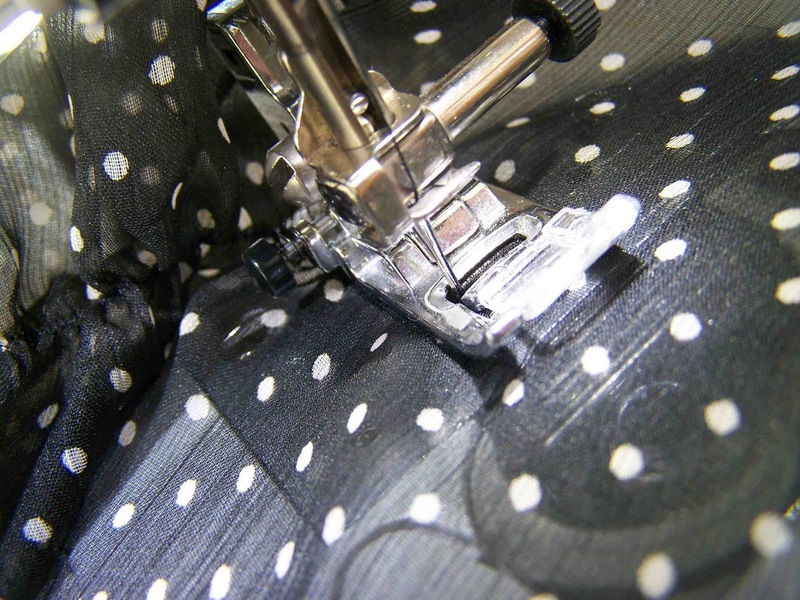 If you have a 1034D overlock serger from brother, than this video tutorial may help. 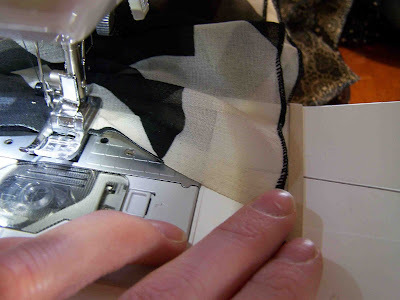 If you are using a serger, I recommend trimming off a quarter inch while rolling the hem, this will ensure that you have a good solid fabric for the thread to grip. 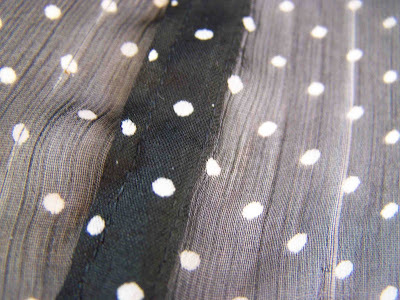 If you do not have a serger, you could use a rolled hem foot to create a neat and tidy edge along the length of your scarf. See this post for more information. 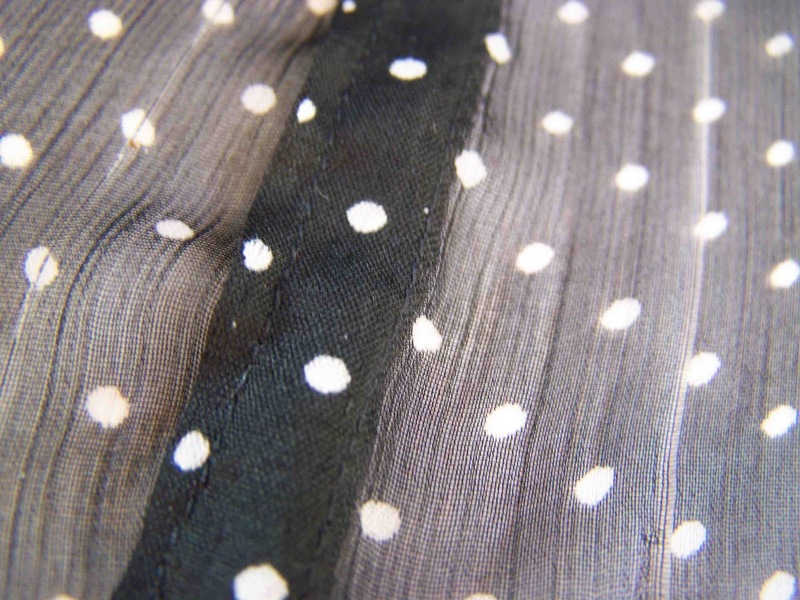 Next up, shirring. 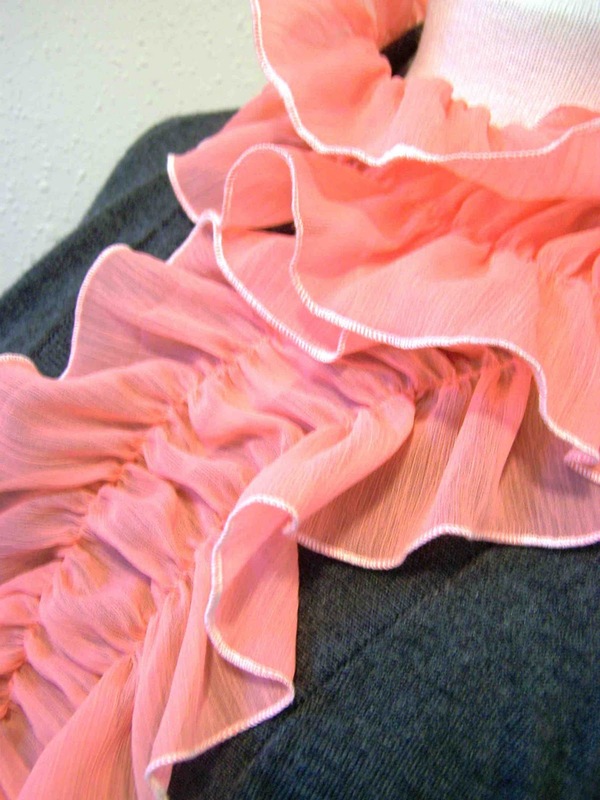 Here is a great shirring tutorial. You will want to wind an open bobbin with your elastic thread. 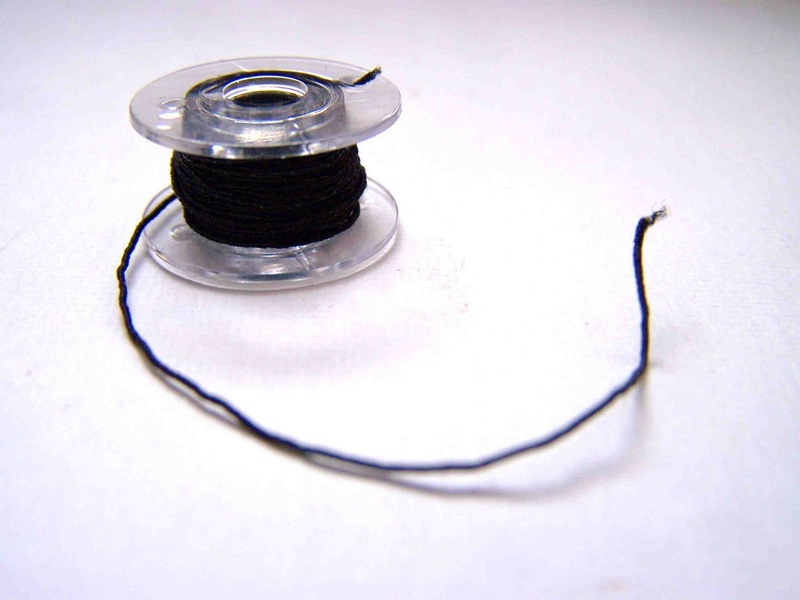 I wind the elastic thread tightly onto the bobbin. You will next want to adjust the tension on your bobbin. Many machines have wheels to adjust the tension, but most brothers do not. 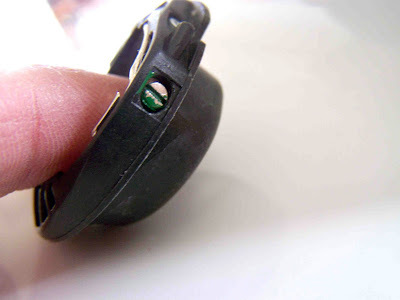 I have to adjust mine by turning that little green screw to the right. I turned mine two full rotations so that my tension would be quite tight. Pull your bobbin thread up manually. 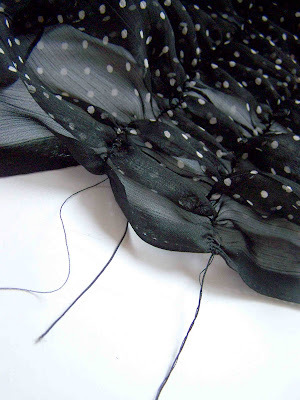 Make sure that your needle thread is long, and lower and raise the needle so that it catches your elastic thread. Keep both threads long. 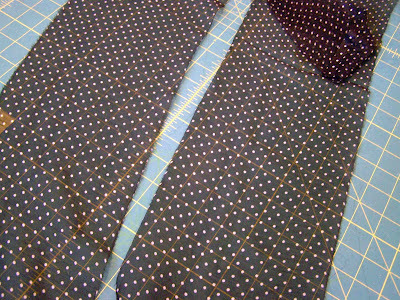 Sew two rows of shirring. 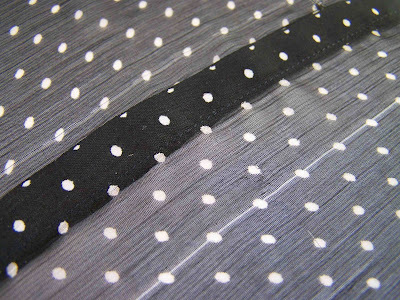 Keep long tails on your threads after finishing each row. My shirred rows are two inches from each side. Backstitch when starting/ending each row. Take the long thread tails on either end, and tie them in knots. 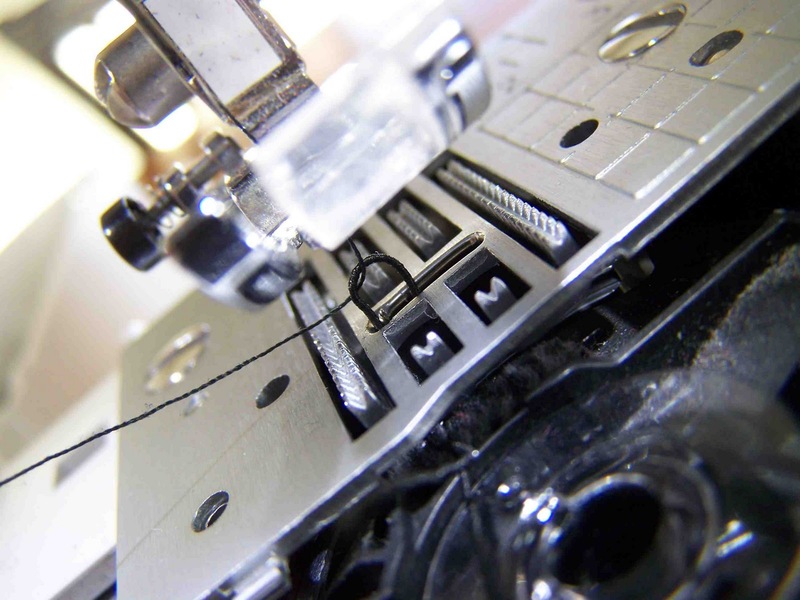 This will help lock in the elastic thread that has a tendency the unthread with time. Alternative: for a more cascading ruffle effect, you can sew one single row of shirring down the middle of the scarf. In the picture above you can see that I used a rubber band on the arm of my machine as a guide. 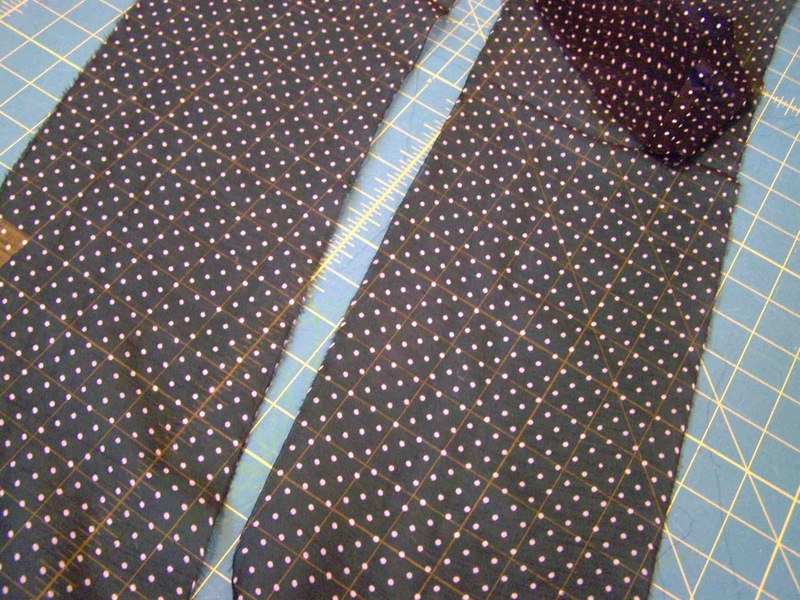 Here's a look at the single shirred row. . .
. . . and the double. It's a fun and inexpensive scarf to make. 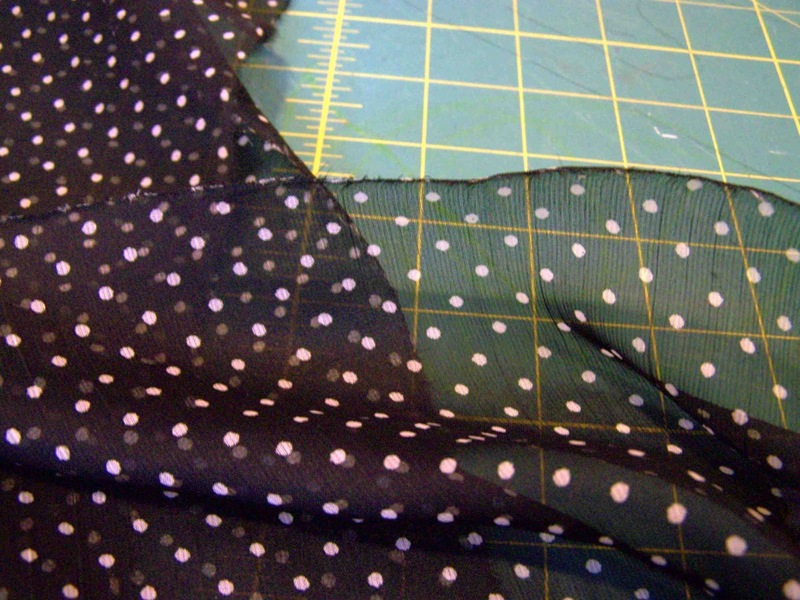 It can come together in no time with the help of a serger. Thanks so much for the great tutorial! 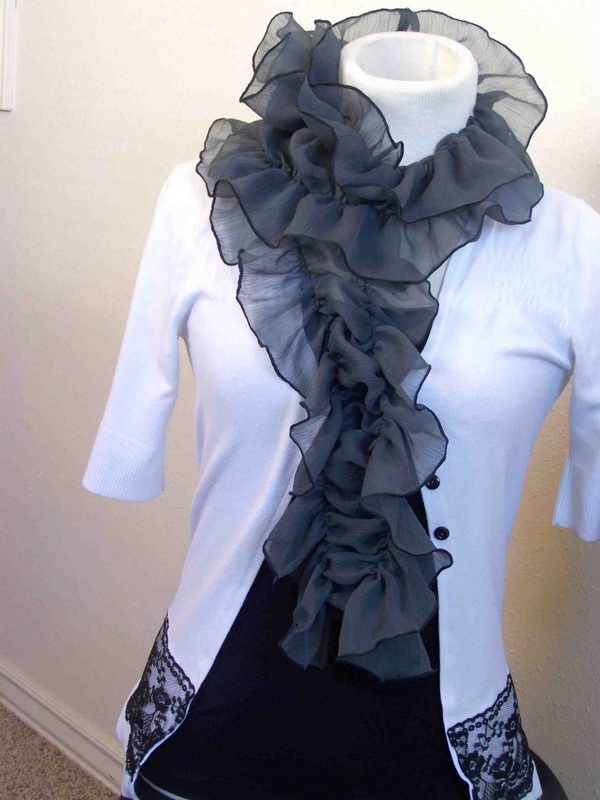 I love scarves, I have more then 300 :)) and this is amazing! Thanks for sharing tutorial I'm going to try make some. You have an interesting blog. Have a look at mine and leave a comment I'll be glad. 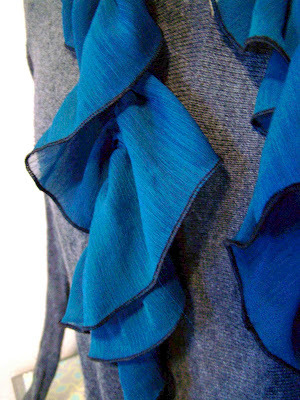 Beautiful scarf! Hope you don't mind, but I'm pinning this.